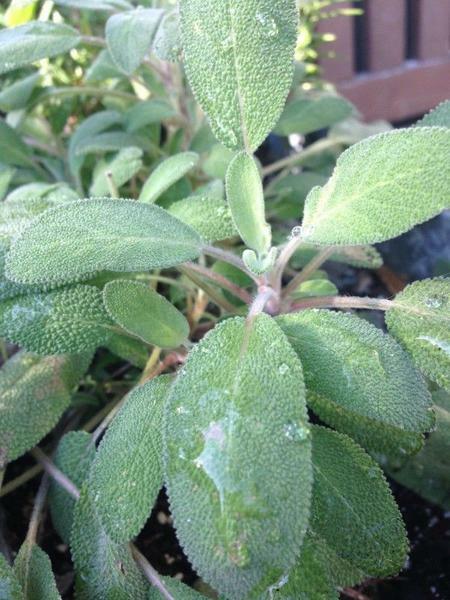 Common Sage (Salvia officinalis) is considered by many cultures to be a sacred herb. In fact, Salvia means ‘savior’ or ‘sacred’. It has been used since ancient times as a medicinal herb to cure everything from sore throats to rheumatism, as a sacred ceremonial herb to cleanse spaces of evil spirits or negative energy or to impart wisdom and immortality, and more recently as a culinary herb. 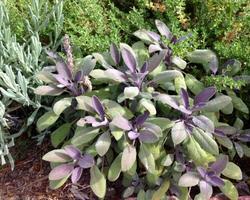 As a garden designer, I like to use culinary sage planted among ornamental plants. 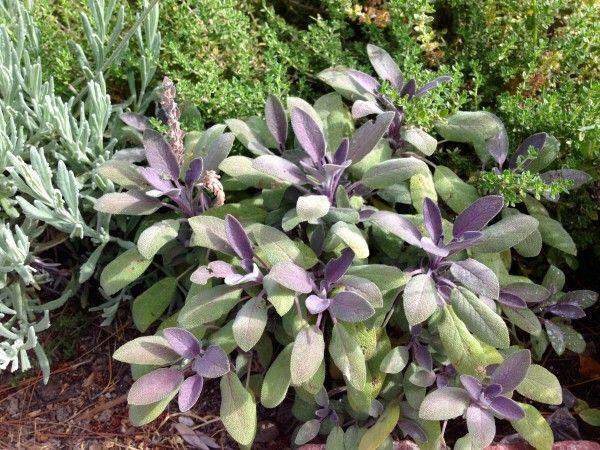 Its many varieties show off soft grey green, purple, and even variegated leaves. The plants grow in low, mounded clumps, and in the summer they bloom with purple flowers. Sage reminds me of fall: fireplaces, roast turkey, and pumpkin ravioli. As I write this, however, it is 106 degrees Fahrenheit in Los Angeles, and, frankly, roasting a turkey is about the last thing I want to do. 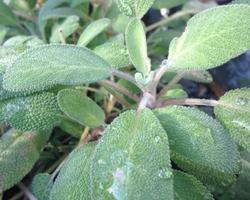 But I have sage in the garden, and as long as I keep watering it, it doesn’t seem to mind the heat. Since this heat is going to stick around for awhile, I am thinking of something sweet, spicy, and tropical for the cocktail of the week, so check back!